Power is back (well, almost)! The provocative, smart and inherently street series returns July 17, and in honor of season 3, The Root is bringing you exclusive interviews with the cast. Omari Hardwick fans, rejoice. 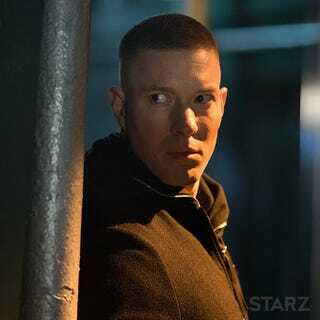 First up on our roster is Joseph Sikora, also known as the big, bad Tommy Egan. He was once the loyal sidekick of Hardwick’s character, James "Ghost" St. Patrick, living that thug life. But Ghost’s decision to leave "the game" (read: a life of crime) has the two characters at odds. The plot thickens. We spoke with Sikora about channeling the murderous Tommy, his (now tenuous) bromance with Ghost and what it’s like working with 50 Cent.